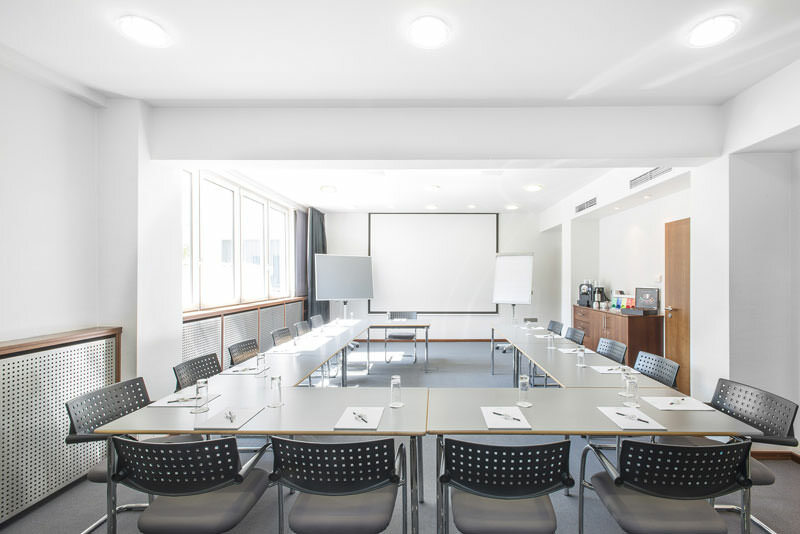 Our conference and seminar room with modern furnishings offers space for up to 30 people on an area of 42 m². 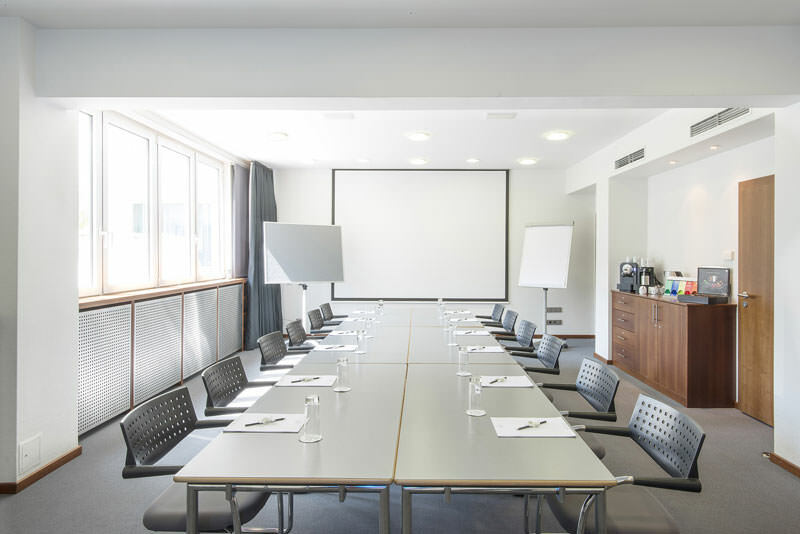 Modern event technology, daylight, air conditioning, free WiFi, on-site parking and in-house catering together with our personal service create an effective and pleasant working environment. 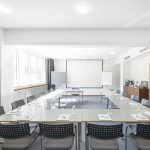 We offer a competitive room rate, all-inclusive conference fee or individual arrangement, depending on the type of event you are planning (e.g. owners’ meeting, continuing education, product presentation, board meeting etc.). Please talk to us and we will gladly provide you with a quotation. 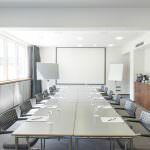 Further information on what we offer including seating, conference equipment and service is provided below. You are welcome to rent our room by the hour. 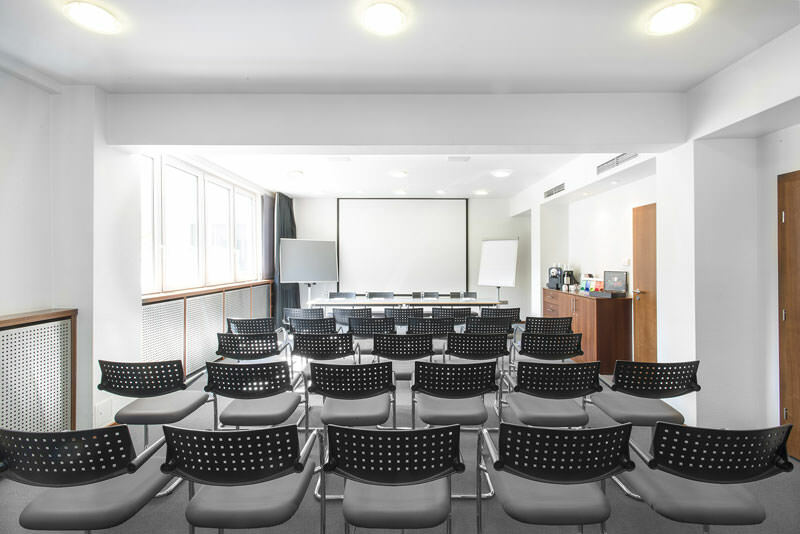 We are happy to offer an all-inclusive conference fee with a variety of services. The all-inclusive conference fee for a full day includes an additional coffee break. If the services offered do not fully meet your requirements, we are pleased to prepare an individual solution for you. The sketches illustrate three different seating options. Alternatively we can set up small group tables, for example to conduct workshops. We are also happy to make one or more “breakout rooms” available to you for working in small groups. Allow us to pamper you with our individual service! We prepare the coffee breaks for you in the conference room, in the lobby or on our rooftop terrace, according to your wishes. Coffee, tea, baked goods and beverages are provided as well as canapés, cake, finger food etc. if desired. A server makes sure that everything goes smoothly. The 2-course lunch menu is served in the neighbouring restaurant Cassambalis. We are also happy to offer individual catering for you according to your personal tastes. Have a look in our pricelist. For an individual offer feel free to contact Mr. Domke.